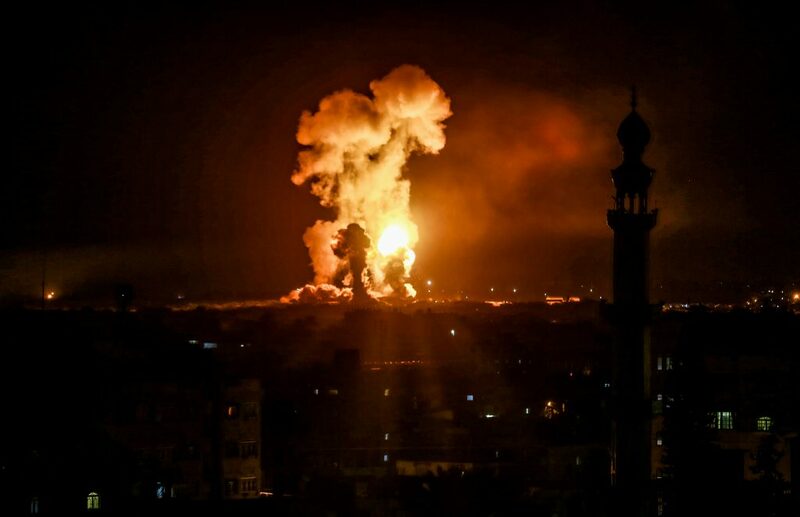 Despite reports Friday that Egypt had brokered a deal between Israel and Hamas for quiet at the border, Israel was targeted with at least 40 rockets overnight Friday through Shabbos afternoon. The Iron Dome missile defense system shot down at least 17 of the incoming Hamas rockets, with two falling inside Gaza. The Red Alert early warning system sounded in communities in the Negev 37 times throughout the night Friday. Six people were treated for shock at hospitals in Ashekelon and Be’er Sheva. The Homefront Command issued restrictions on public gatherings in the Gaza border area. In response, the IDF hit at least 95 targets in Gaza, belonging to Hamas and Islamic Jihad. Among them were workshops for the manufacture of advanced missiles, the army said. Also targeted were the entrance to a terror tunnel, a Hamas observation post, and a four-story building that serves as a Hamas headquarters. On Friday, reports said that Egypt had brokered an “understanding” between Israel and Hamas that would on the one hand reduce the terror coming from Gaza, with Israel easing the blockade on the region to an extent. According to the report in Arab Al-Hayat daily, Israel agreed to a series of steps to ease the situation in Gaza, including providing more diesel fuel for electricity, expanding the range that Gaza fishermen can trawl, and allowing the continuation of infrastructure projects, including a seaport. Hamas had agreed to halt the balloon terror attacks, and to ease off on the Gaza border riots that have been going on since March. But the riots continued on Friday, with some 16,000 rioters gathering at various spots on the Gaza border fence. Rioters threw firebombs, rocks and bricks at Israeli forces, and set off large tire fires. Israeli soldiers responded with anti-riot measures.